Last weekend we headed into Itaewon, because my all-time fave vegan bakeshop, PLANT, was closing for a few weeks for renovations, and I had to grab one last slice of cruelty-free cake! 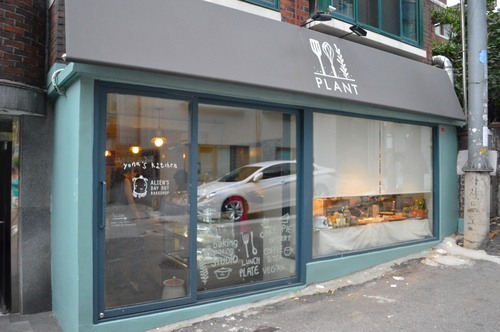 One of the first vegan-related blogs I started following was Alien’s Day Out, which is a super cute, yummy recipe-filled day-to-day account of vegan life in Seoul. 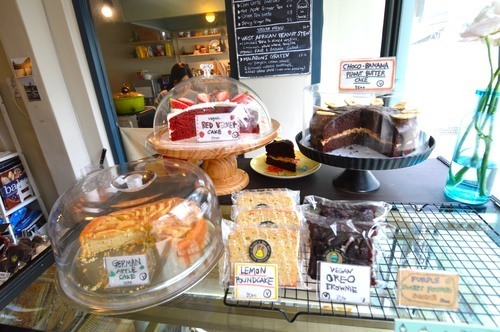 The blog’s creator, Mipa, is also an illustrator and professional baker who just recently opened her own cafe in Itaewon!